The Bills try to bounce back after a brutal opening week loss to the Ravens as they host the Chargers in their home opener in week two. BUFFALO, NY - The Bills are trying to forget that embarrassing week one loss to the Ravens but it doesn't get any easier as the Chargers come to town for the home opener in week two. The biggest storyline is the quarterback change. 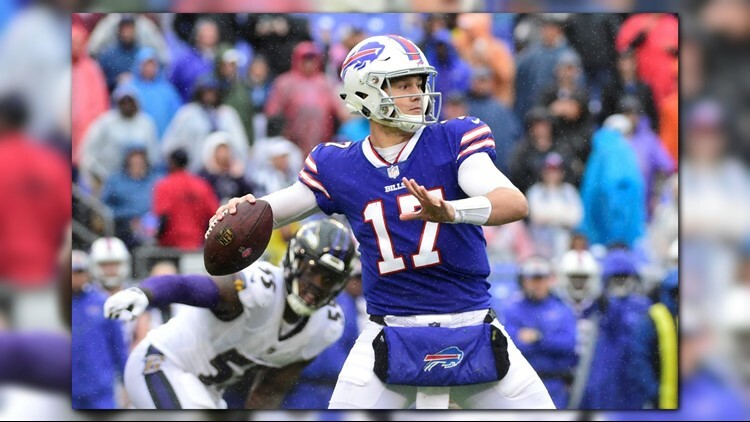 The Bills moved on from Nathan Peterman in favor of rookie Josh Allen this week. Head coach Sean McDermott wouldn't get into how permanent the move is of what went into the decision beyond just repeating "it's the right move for our team." Obviously the rookie is going to have his work cut out for him because last week's loss was not just on Peterman. Sure, he was a big part but the rest of the offense did not do him any favors and that's something that will continue to be a problem if it doesn't change no matter who is under center. So everything needs a drastic change from last week in order to beat L.A. Here's what needs to happen. Key 1 - Get LeSean McCoy going. He only had seven carries for 22 yards last week. The Bills can't expect Allen to win the game with his arm, that's too much to ask from a rookie making his first career start against this kind of a defense. McCoy and the running game have to help him out and do some serious work. Key 2 - Along the lines of helping Allen out, once again the offensive line has to play better, give their quarterback more time and with that comes containing Chargers defensive end Melvin Ingram. He's a dynamic pass rusher that will be in Allen's face all day if the line can't hold up. Now they do catch a break with Joey Bosa out with a bone bruise in his foot. Key 3 - Defensively the Bills also need to do a 180. Especially with Philip Rivers coming to town. He threw for over 400 yards and three touchdowns and that was in a LOSS. The Bills have to pressure him and force him to make mistakes or it's going to be another long game.